The internet is a very powerful thing. It offers a wealth of information to anyone willing to do a little research. It’s especially handy when shopping for a car. As anyone with auto shopping experience knows, it is not enough to just go to a Nissan dealership in Fort Lauderdale, FL, and purchase the vehicle you want. You also want to get the vehicle at the best pricing possible. The question is – how do you make this happen? Fortunately, there are tons of tools and websites that serve as excellent resources for anyone in the market for a new mode of transportation. In fact, here are a few resources geared toward helping you land the best pricing on your next Nissan. Kelley Blue Book is one of the most well-known car buying resources on the market. 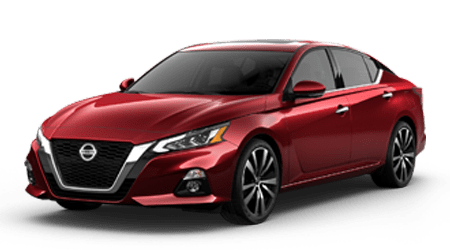 The site offers concrete pricing points on every aspect of the Nissan you might want to buy, right down to the various trim levels and added features. The site also offers a collection of extensive reviews detailing every aspect of any vehicle. If you are interested in several vehicles, you owe it to yourself to use this website to run a background check on them. Learn as much as you can about a vehicle before buying it. NADA Guides is another online resource to use when you want to get the best Nissan pricing. You can find out the worth of the Nissan you are eyeing by choosing the year, model, and any add-on you want to include. Along with vehicle pricing, NADA also has a comparison tool, making it much easier to decide which car is right for you. Another useful resource for car shoppers who are looking for low pricing is the automaker’s website. Automakers often offer incentives for buying certain cars, which is the perfect bargaining tool. For example, if Nissan has an incentive for buying a specific car, you can inform the dealer for a huge discount. Most dealerships do not publicize these incentives, so you’re already at an advantage from the moment you walk in the door. Make sure you read incentive details carefully to make sure it isn’t for a specific group, like military members or college graduates. After taking the time to research Nissan pricing online, it’s time for the fun part. Stop by Performance Nissan near Fort Lauderdale, FL, today for a test drive.